The frequency of cyber attacks has grown to an unimaginable level within the past few years. The internet, which is a very useful resource, can also be a potential threat to your personal information or sensitive data stored on your computers or laptops. Also, most of our personal or business transactions happen over the internet which raises serious level threats as we expose our bank account details to cyber criminals or hackers. Cyber criminals use unique ways of stealing our private information that is, then, is misused by them. Practically speaking, cyber attacks have become a scary reality for every individual and organization. Hackers have invented sneaky ways and techniques to steal from us, which are beyond our control and imagination. 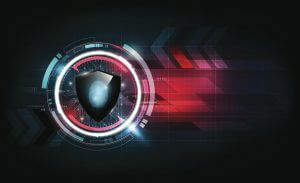 The prevention of cyber attacks is possible but only when we know how to tackle and deal with impending cyber threats. You must be prepared and responsible for blocking potential threats from hackers or else you will lose vital information. The failure to come up with a counter plan for the prevention of cyber attacks is what causes businesses to fall prey to cyber threats. According to studies, nearly 95% of online businesses have reported data breaches on their online platform in 2017 which means cyber attacks have grown to become one of the leading threats to online businesses. Moreover, the demand for cyber security experts has also increased proportionally and every business with an online presence is feeling the need to have the superior expertise of professional IT experts. Keeping your sensitive data like passwords, financials, bookkeeping records, and bank accounts safe and protected from outside intruders like hackers and scammers has become quite an intimidating task. Most individuals and organizations lack technical knowledge, skills, and abilities to deal with potential cyber threats themselves which is why they need to hire cyber security experts to ensure their sensitive personal information is safe and secure. Since we use so many devices these days for personal and business purposes, it has become extremely difficult to protect our personal information against so many viruses, malware, malicious apps and other similar cyber-bugs. With so many tools and an abundance of information over the internet, cyber threats can be minimized up to a great extent. Most entrepreneurs who cannot afford to hire expensive cyber security experts for their data protection services can take advantage of various security tools such as strong passwords, a VPN, an antivirus software, a firewall, better hardware and precise software knowledge. Moreover, entrepreneurs need to stay vigilant of the latest trending digital threats which may hamper their operating systems. Businesses need to stay on top of their game if they expect to secure their company from potential cyber dangers. Data encryption can help you to protect and secure your devices and networks which prevents your personal information from leaving the servers and devices. This is one of the leading data protection tips that is often overlooked. Backing up your sensitive data often gives you more command over your personal information. This means, if you lose your personal information somewhere, then you can recover it easily. Even if your original device is compromised, you will always get the data recovered from the duplicate copy that you have backed up. For the prevention of data theft, cyber security experts recommend to turn off our computers as soon as we are done for the day. Leaving computers and other smart devices on and connected to the internet leaves us vulnerable to rogue attacks. Internet-enabled computers and devices can easily fall prey to cyber attacks or hackers. For preventing cyber attacks and malicious activities on the internet, you need to continuously upgrade your system which includes data security and safety, new hardware and upgraded software protected against cyber attacks.